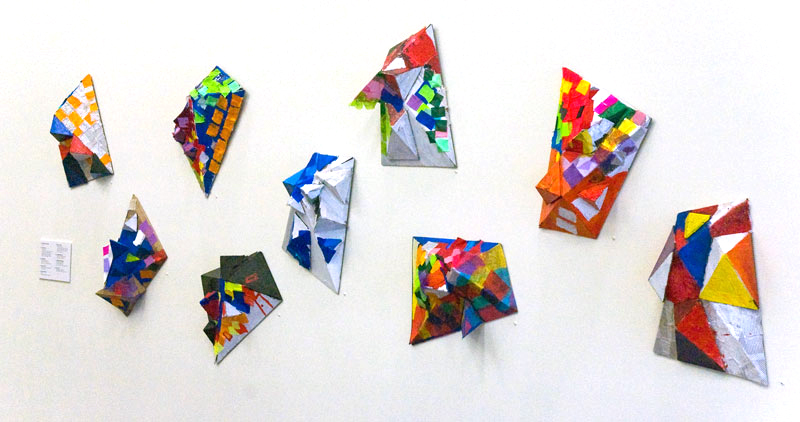 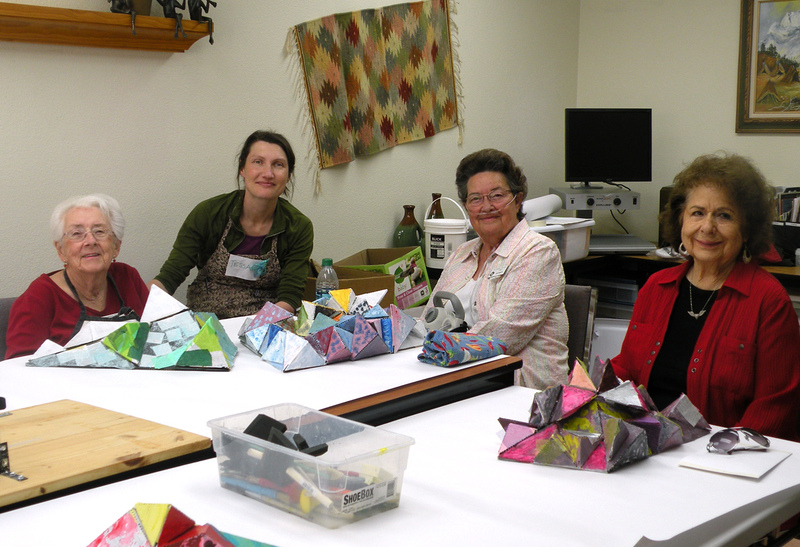 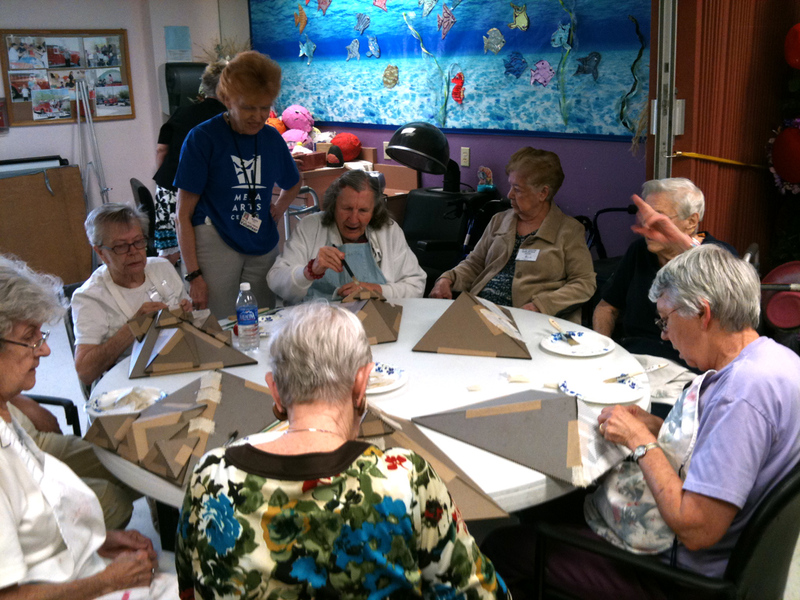 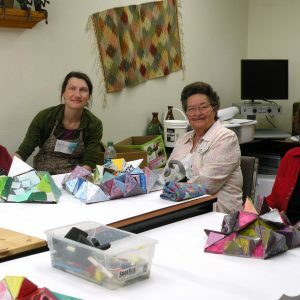 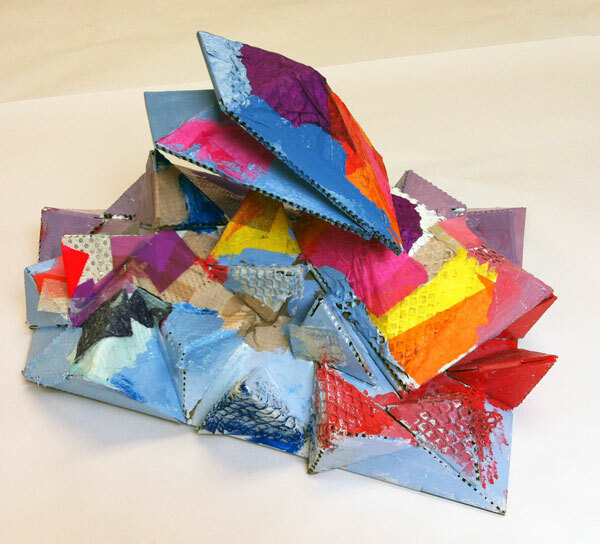 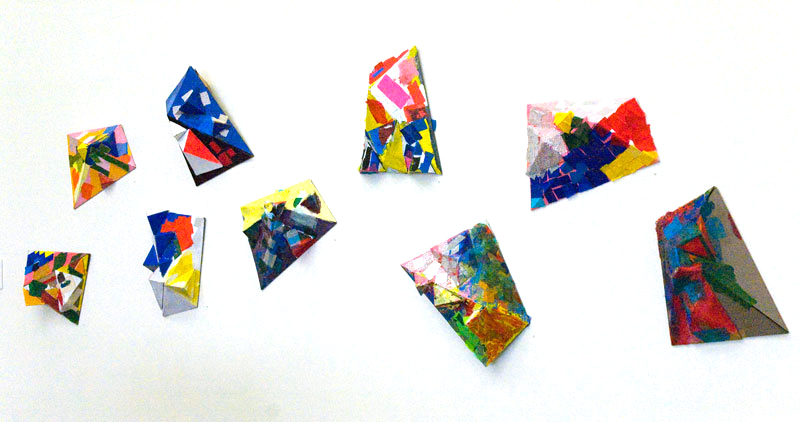 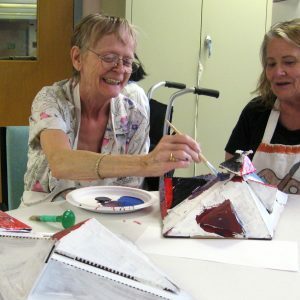 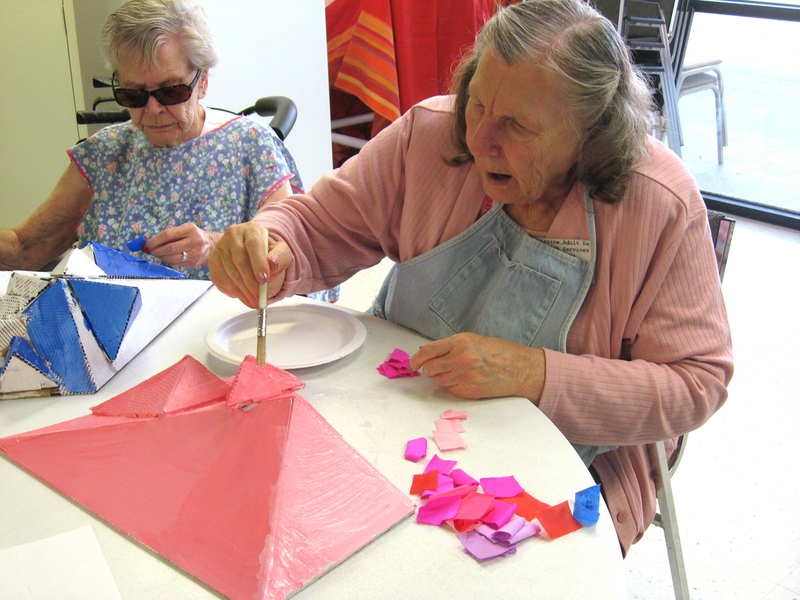 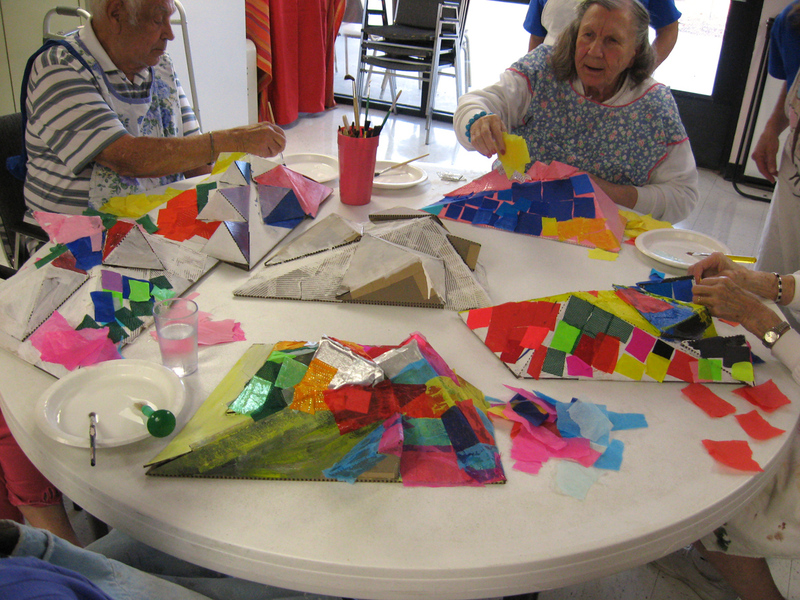 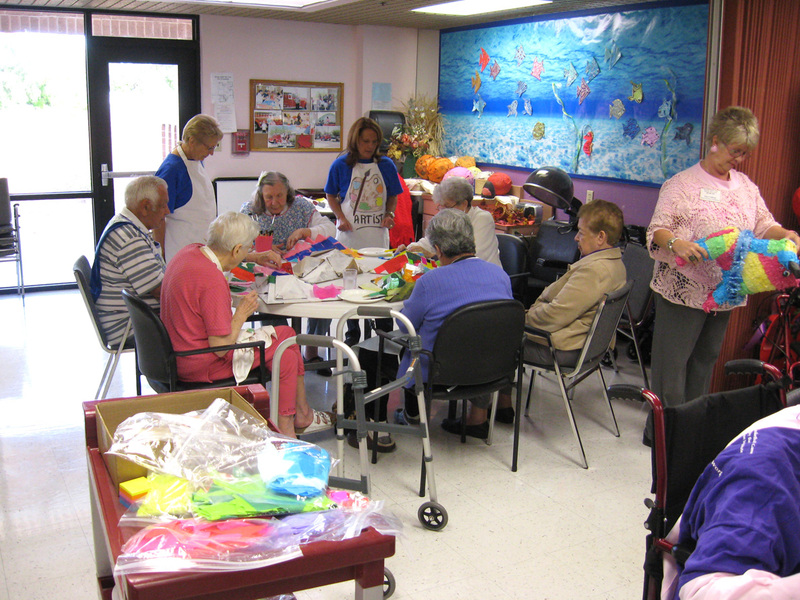 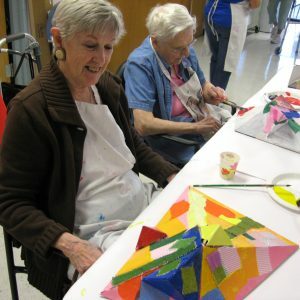 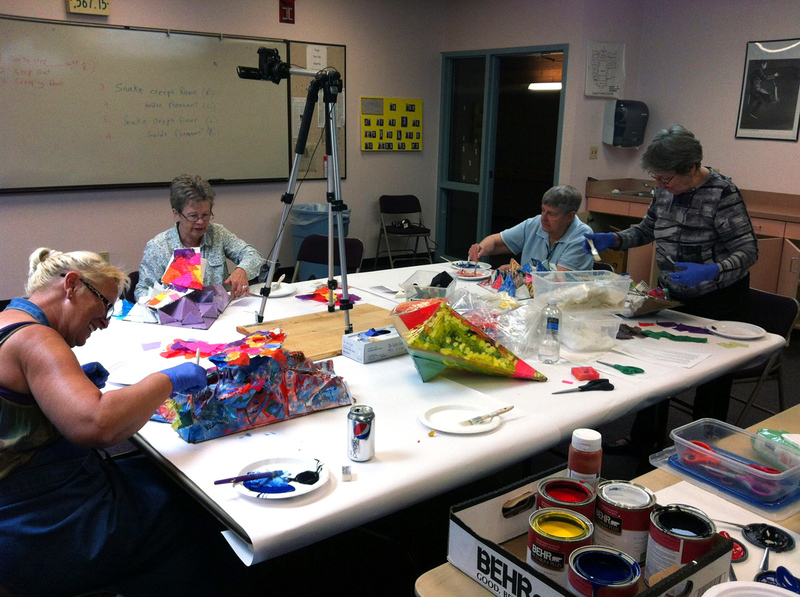 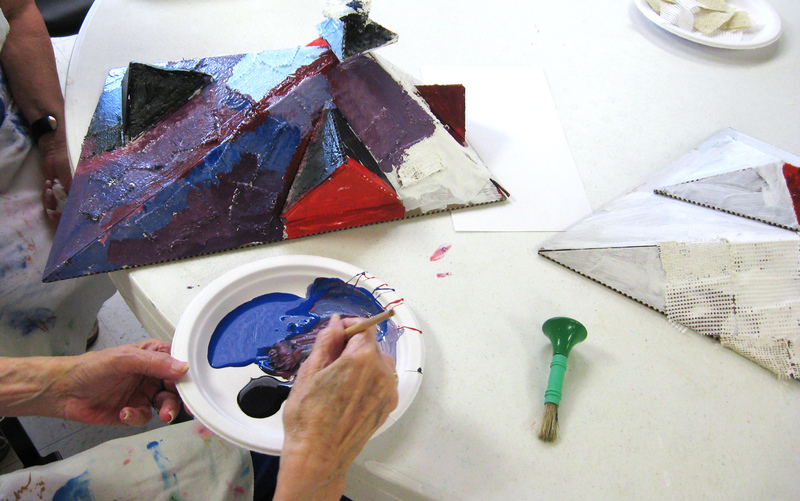 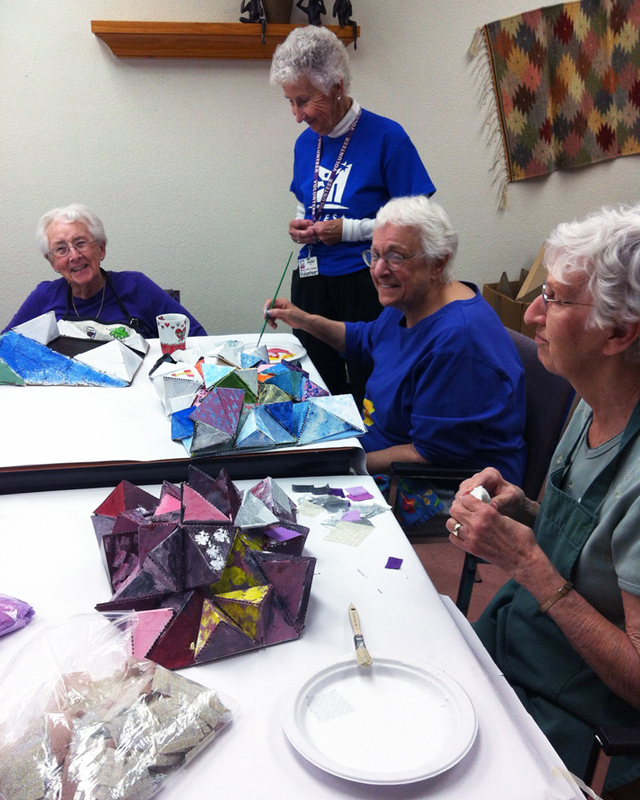 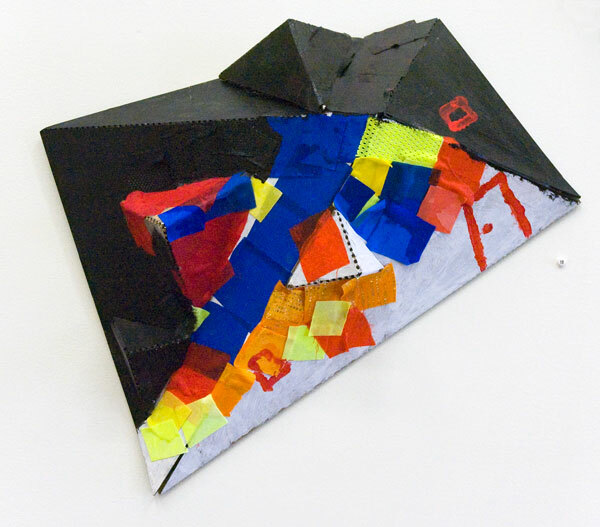 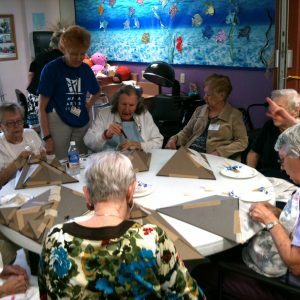 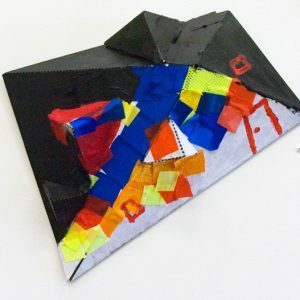 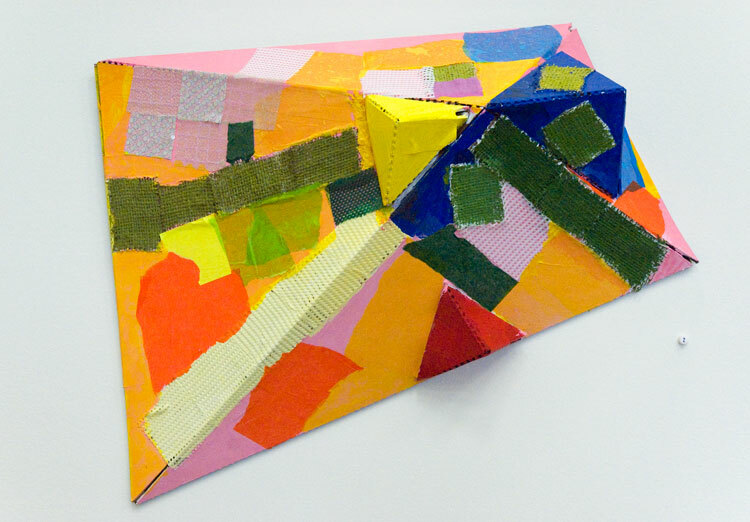 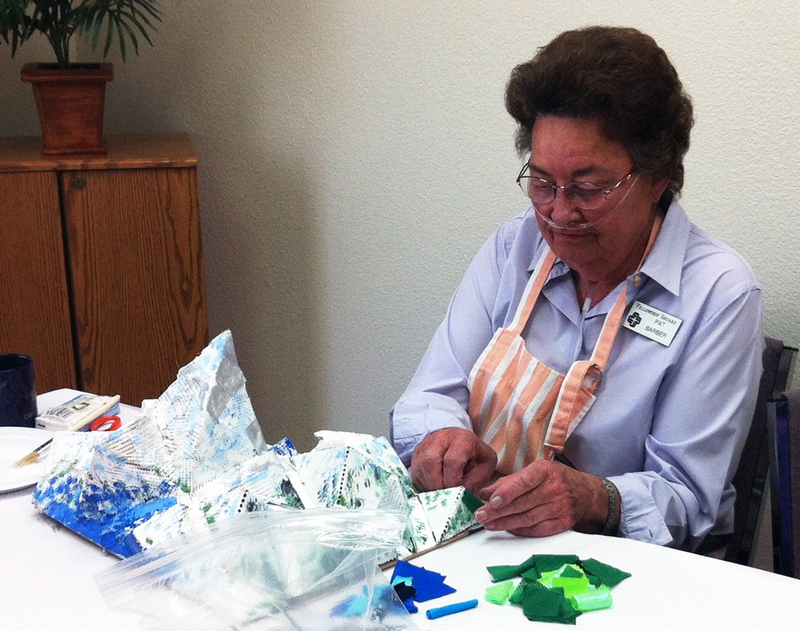 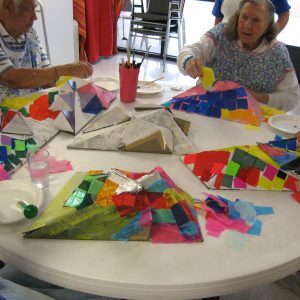 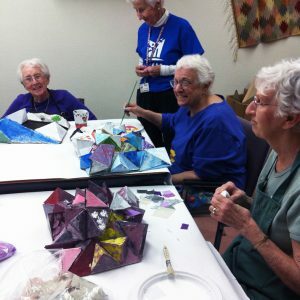 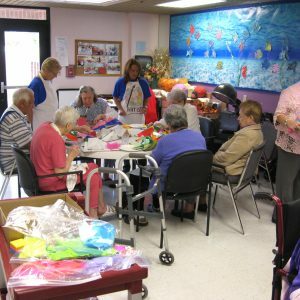 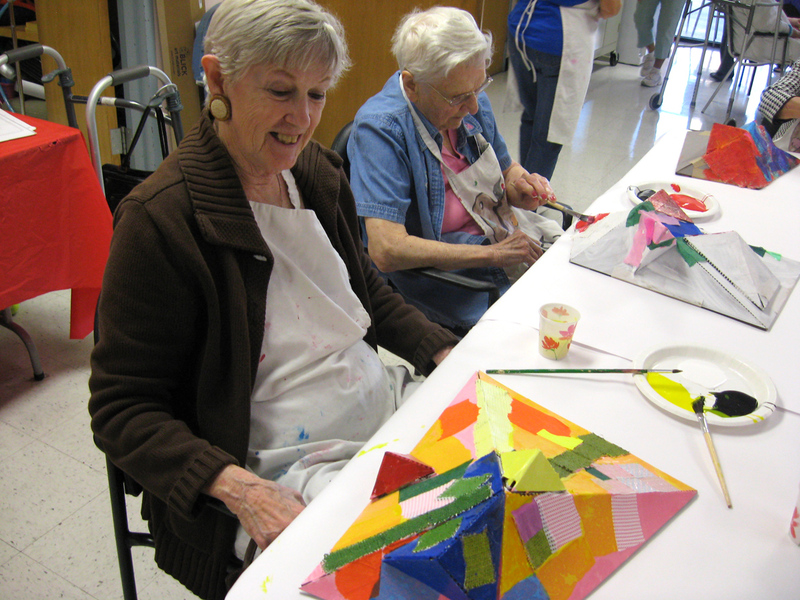 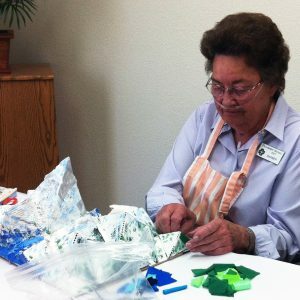 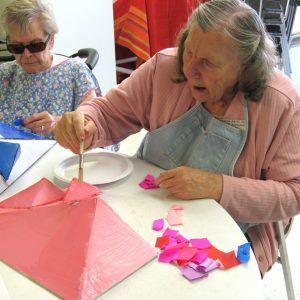 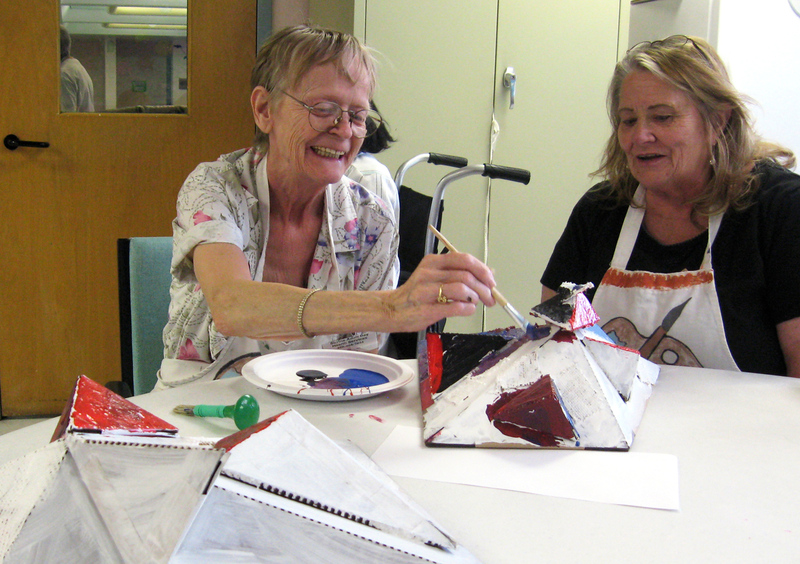 Every older adult participating in this project begins with the same faceted geometric form. 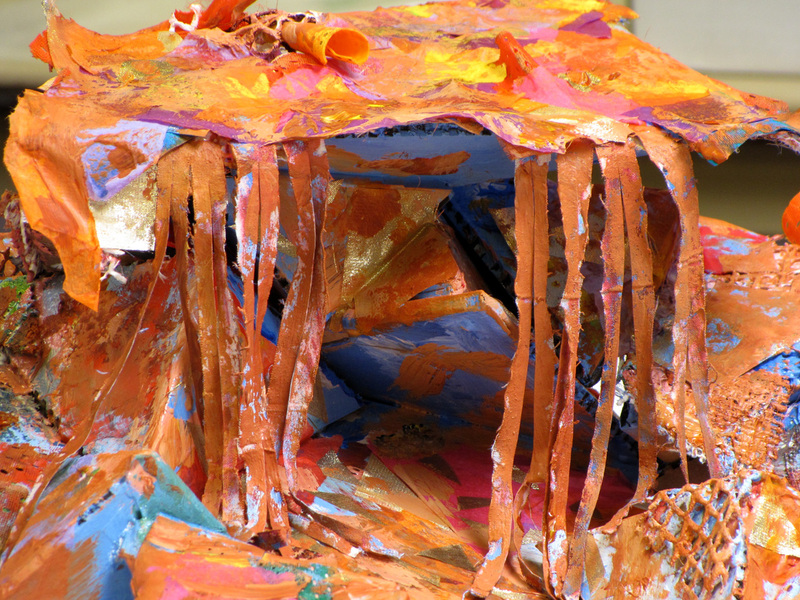 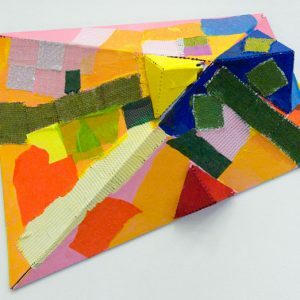 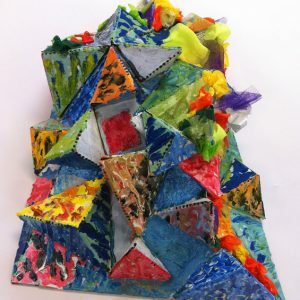 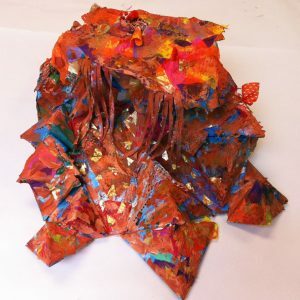 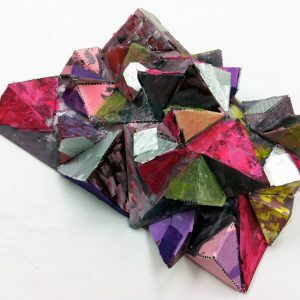 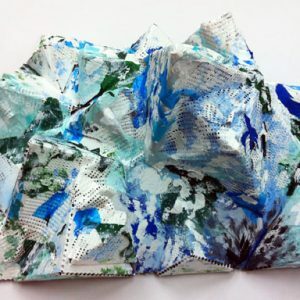 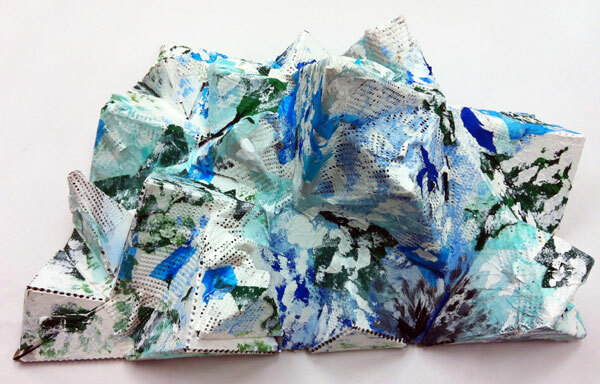 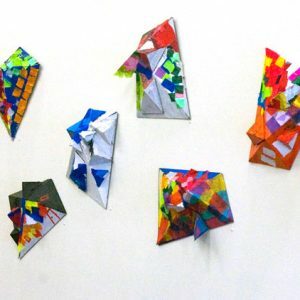 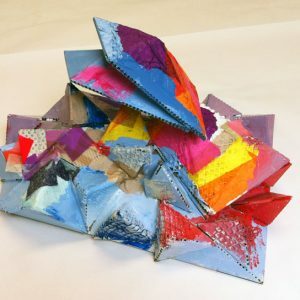 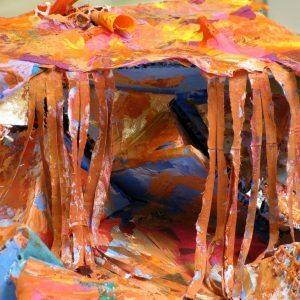 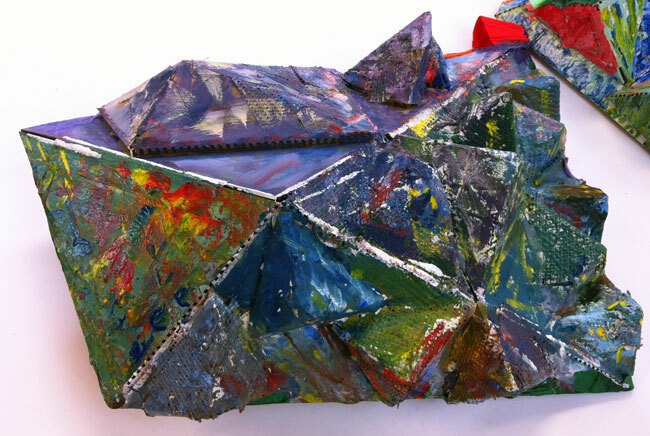 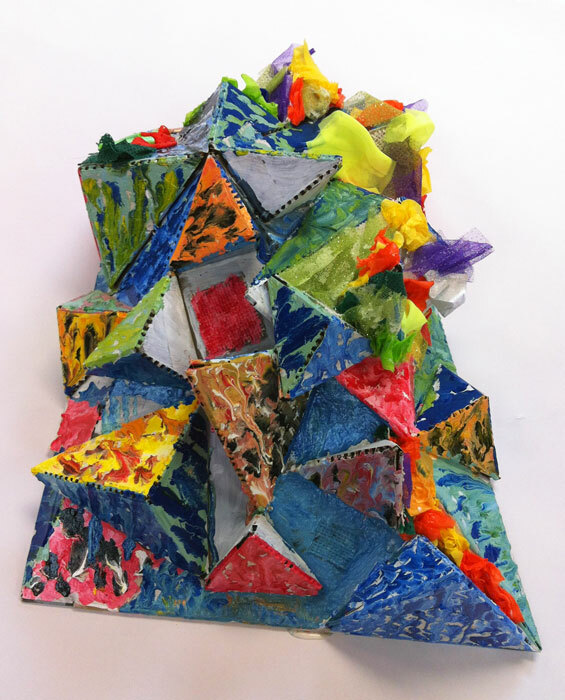 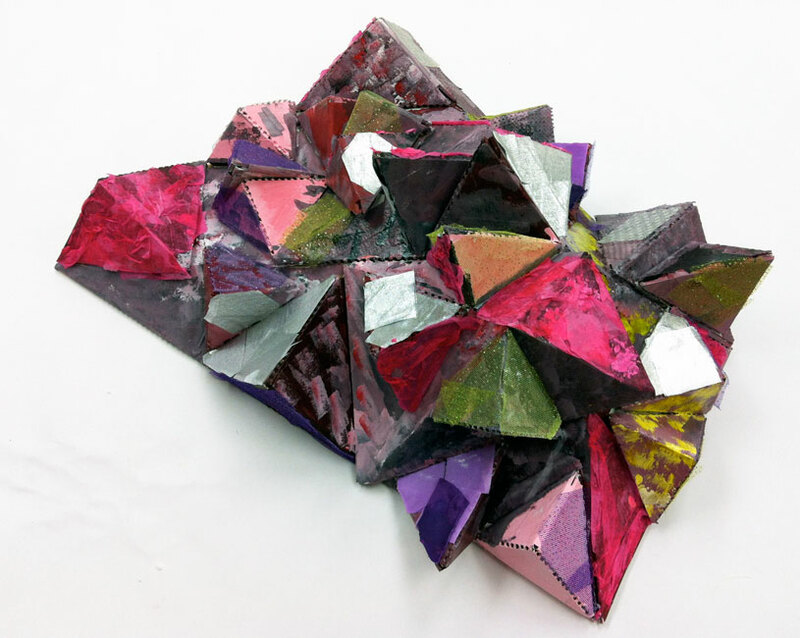 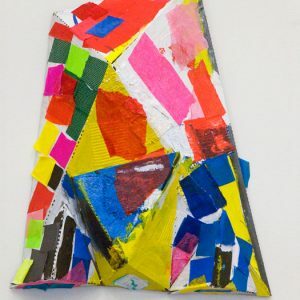 By adding layers of tactile 2- and 3-dimensional materials and forms, participants sculpturally modify and transform this foundation form and its surface. 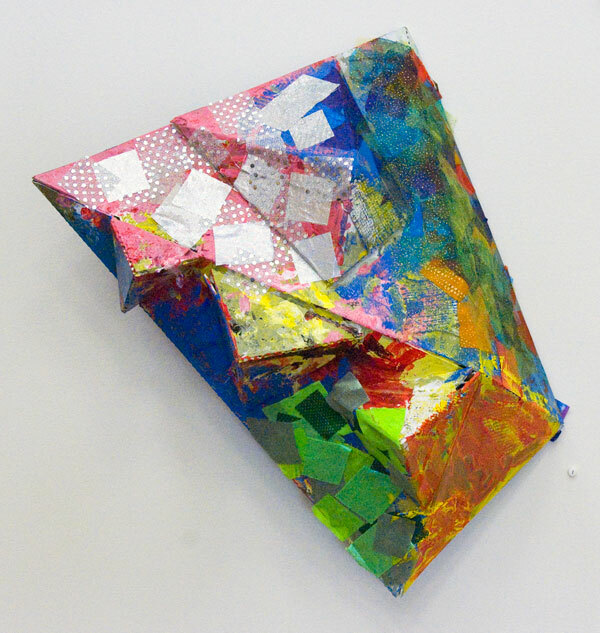 Each resulting artwork presents a unique history of overlapping marks and personal gestures whose materiality hovers between image and sculpture. 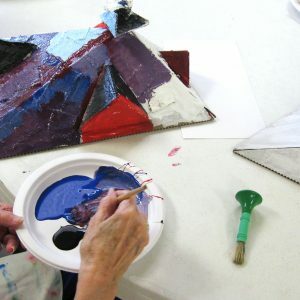 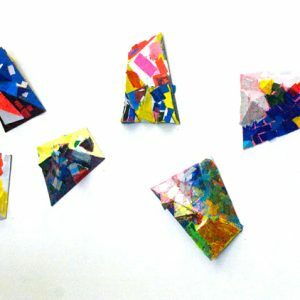 A video component forms a record of the moments of creativity that every artist encounters regardless of age, and of associations awakened during the creative process. 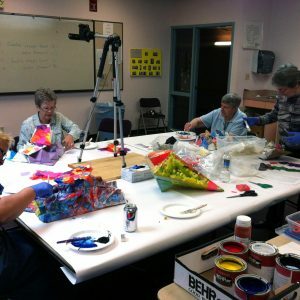 Click here to view more videos. 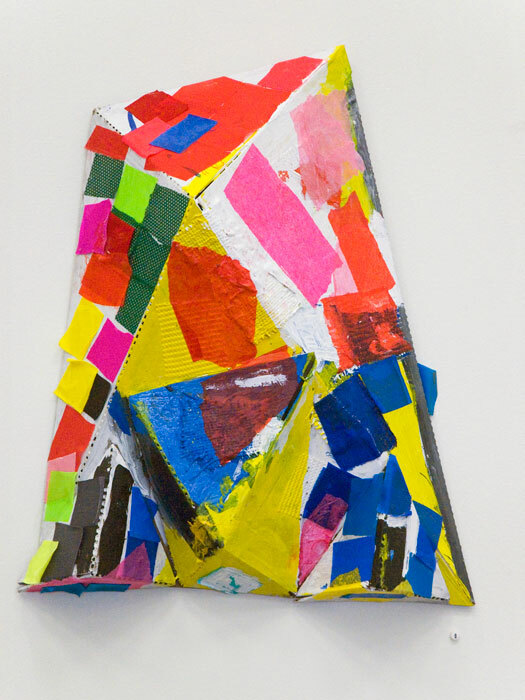 Dorothy Iverson, "This is my family. 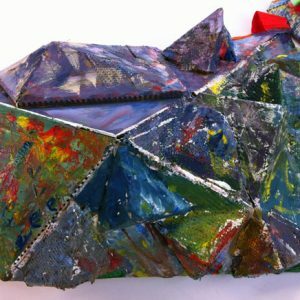 They are very healthy children"
Claude Annis (started by Lawrence Marshall), "Country House"
Mimi McKenna, "1263 Kepler Road, Toledo, Ohio"